A one day ‘Christmas ARTfair’ with accompanying art exhibition will be coming soon to The Town Hall, Hebden Bridge, to tempt Christmas shoppers to buy local this season! 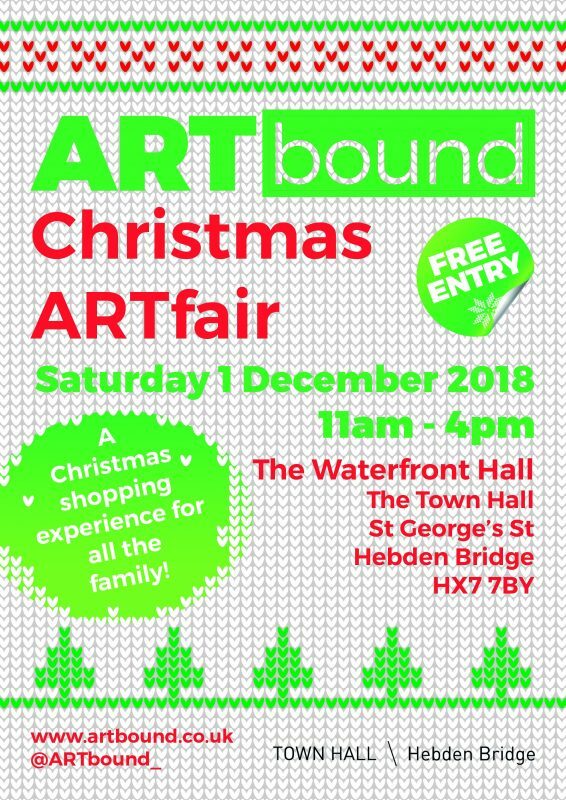 Creative stall holders will be filling the beautiful Waterfront Hall in The Town Hall, Hebden Bridge, for ARTbound’s 4th ‘Christmas ARTfair’. 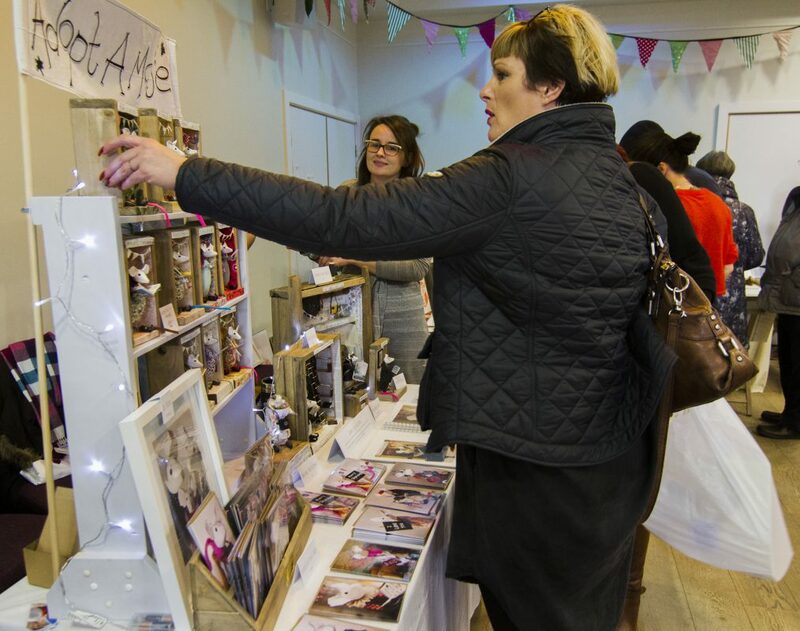 On Saturday 1st December from 11am – 4pm, Christmas Shoppers are invited to browse and purchase from stalls full of handcrafted gifts, greeting cards, art prints, ceramics and jewellery, during this free entry Christmas Shopping Experience for all the family. 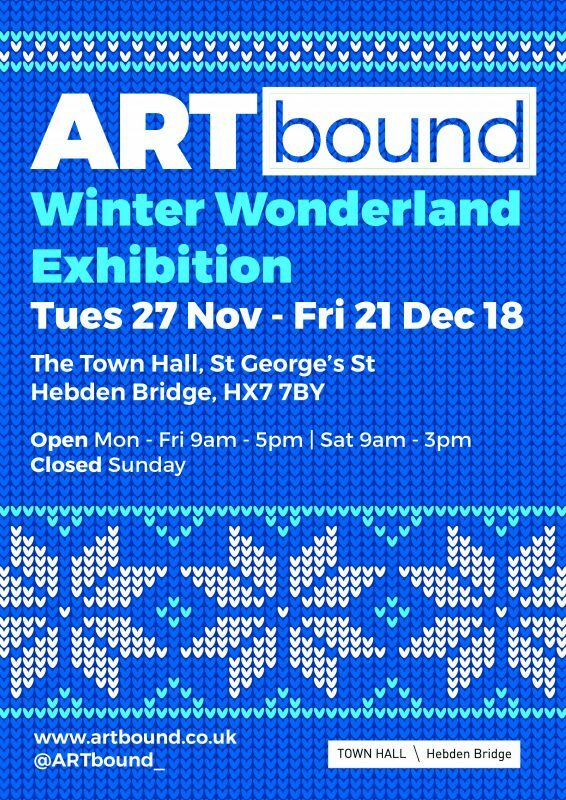 To add more Christmas spirit and artist opportunity, ARTbound will be curating a 4 week ‘WinterWonderland’ exhibition, all works for sale, throughout the Town Hall foyer and Café area. Saturday 1st December will be a perfect opportunity to visit both, the exhibition and the ARTfair. The exhibition will be on show from Tues 27 November – Fri 21 December 2018. The Town Hall offers a superb onsite Café, where ARTfair shoppers can rest with hot drinks and homemade lunches and cakes during this wintry Saturday afternoon. Both events are free entry, have disabled access and take place at The Town Hall, St George’s St, HX7 7BY. This entry was posted in All, ARTS and tagged artbound, artfair, Christmas.